Join us for a Festive Break at this superb hotel, with additional festive fare of Mulled Wine & Mince pie on arrival, a Traditional Christmas dinner with crackers, Afternoon Tea & Christmas Cake, with entertainment every evening, including Carols performed after dinner on one evening. Depart the local area with a lunch stop on route, arriving at our hotel in Sidmouth late afternoon, where we are welcomed with mulled wine and a mince pie. 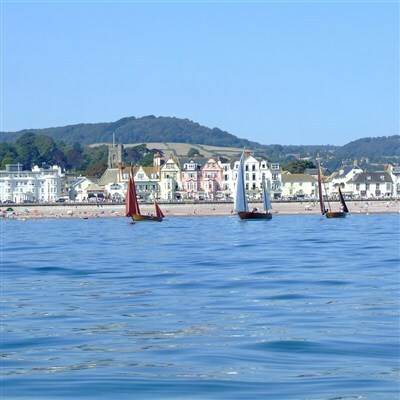 This glorious regency seaside town is nestled into the Jurassic Coast and yet enjoys a largely flat town centre. The highly regarded Royal York & Faulkner Hotel is positioned in the centre of the elegant Esplanade, and has lovely lounge spaces to enjoy a cozy break at this time of year. We take a drive to Exmouth to board one of the large heated cruise boats for a trip around the Exe estuary. Your Skipper will give you a live commentary on the history of the area, the beautiful sights and the resident and visiting winter wildlife. As a designated RAMSAR site, the River Exe is one of the top rivers in the country for wildlife and is a feeding ground for several seals. You might even be lucky enough to see the resident seal on your trip! This afternoon return to the hotel where Tea & Christmas Cake will be served in the lounge. (For anybody who would like to visit the Donkey Sanctuary we will offer an optional trip this afternoon). Enjoy the day in Sidmouth, or join the coach to Honiton, with its street market today, and renowned for lace-making and antique shops. After time browsing we continue to the Ottery St Mary Garden Centre to explore their stunning Christmas displays, pick up the latest ideas and maybe a decoration or two! Today we visit Exeter where the Christmas Market takes place on Cathedral Green. Around 90 wooden chalets will be selling a wide range of Christmas crafts, gifts and festive food & drink. Departing after breakfast we travel home with a lunch stop at Winchester Christmas Market on route arriving back early evening, by now fully in the festive spirit!